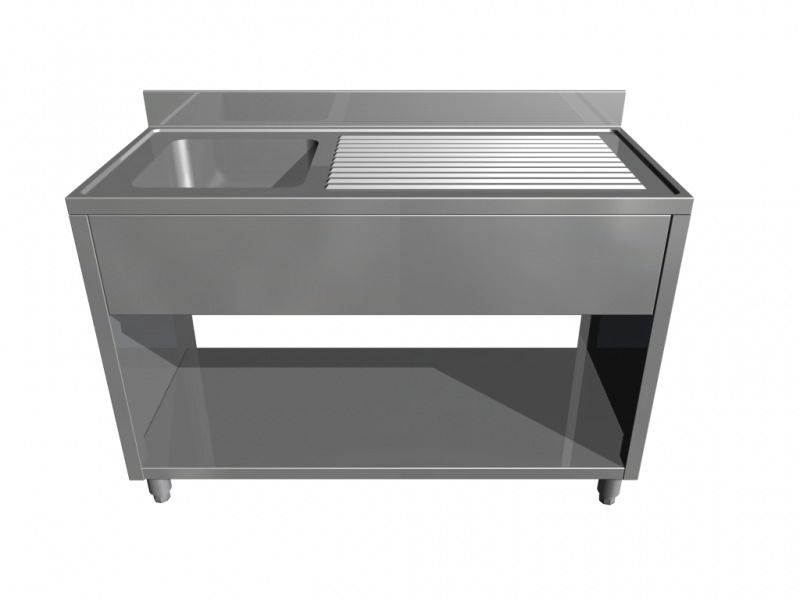 Stainless steel sink with bench and bottom self made in satin-finish AISI304 Scotch Brite stainless steel. Legs are built in 40x40x1,5 mm AISI304 rectangular tube, equipped with leveling feet, that ensure perfect alignment with other elements. Depending on the sink configuration they have a 100 mm antisplash upstand - realized in a single piece with the worktop.